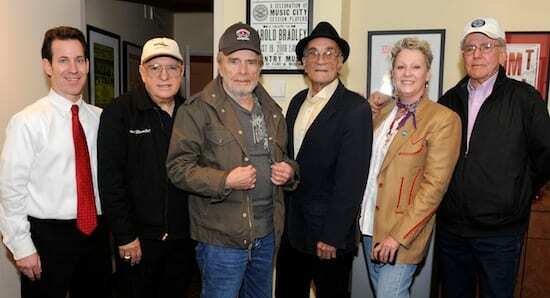 Merle Haggard made a surprise appearance at the Country Music Hall of Fame® and Museum’s public interview program My Friends Are Gonna Be Strangers this week. He was joined on stage by Norm Hamlet and Don Markham, longtime members of Haggard’s band, the Strangers. The men began the discussion by paying tribute to Fuzzy Owen, the man who gave Haggard his first recording contract, produced and played steel on his early records, and has managed his career for decades. The program was presented in support of the major exhibition The Bakersfield Sound: Buck Owens, Merle Haggard and California Country. 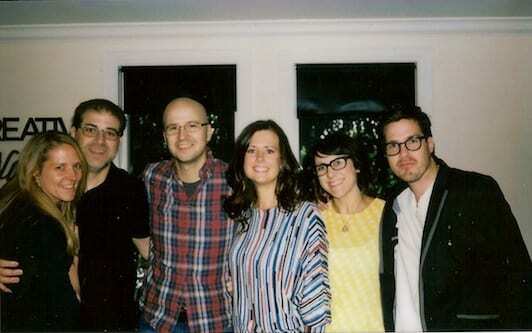 Luke and Beth Laird celebrated the opening of their new music publishing and management company Creative Nation with music row friends recently. Their new office space is also shared with Ready Set, the management and record company owned by Trent and Kristen Dabbs (Ten out of Tenn, Sugar and the Hi-Lows). 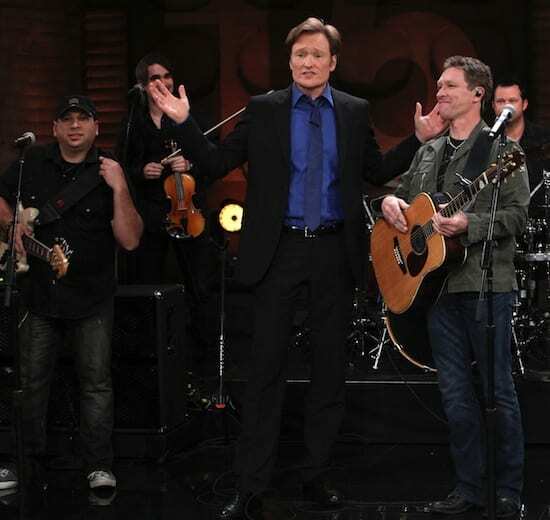 Craig Morgan appeared on Conan April 11 to perform the title track from his new CD, This Ole Boy. To view a clip of the show click here.